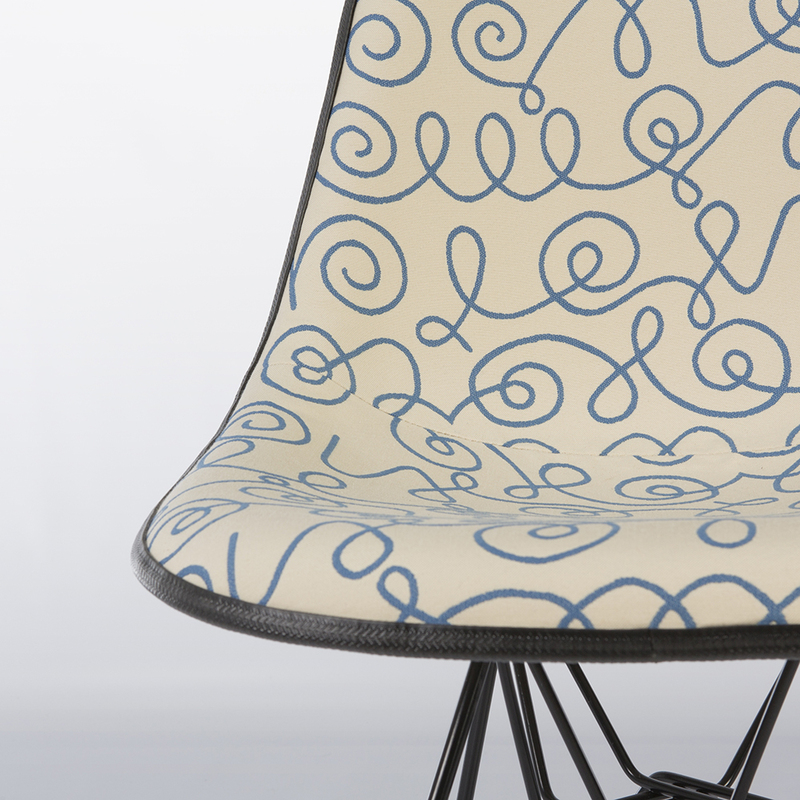 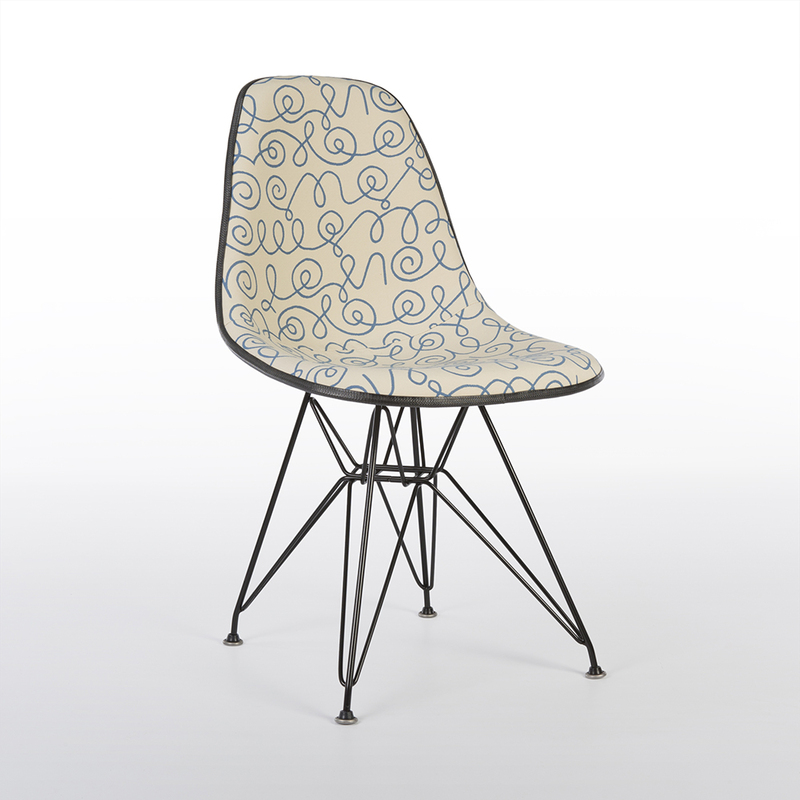 This beautifully reconditioned vintage chair combines Herman Miller Eames DSR chair with the amazing original fabric called 'Blue Names' by Alexander Girard! 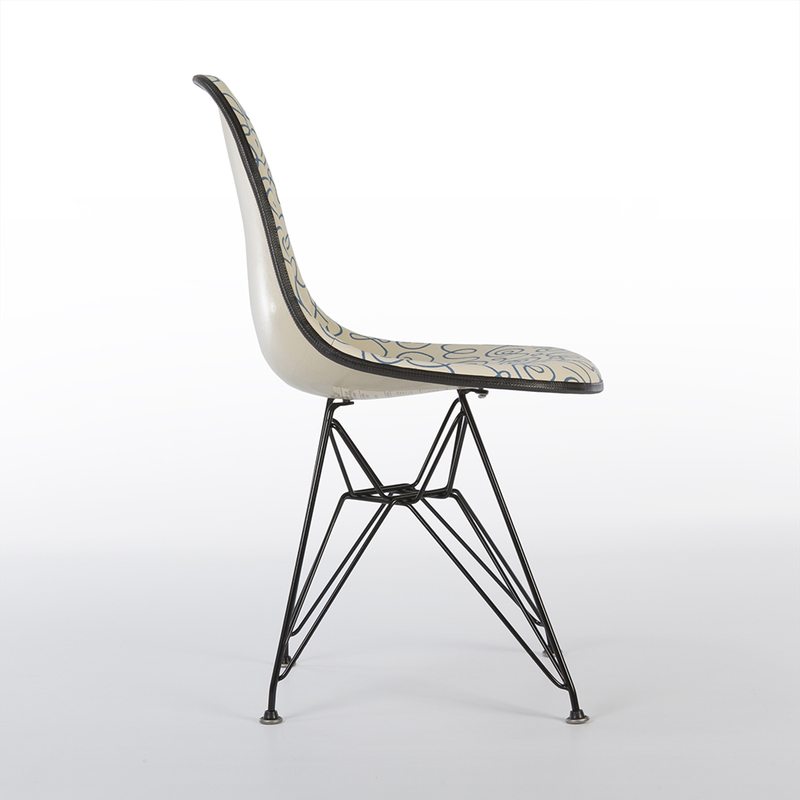 This chair, complete with used, newer, Black DSR 'eiffel' base is so visually stunning and a true work of art. 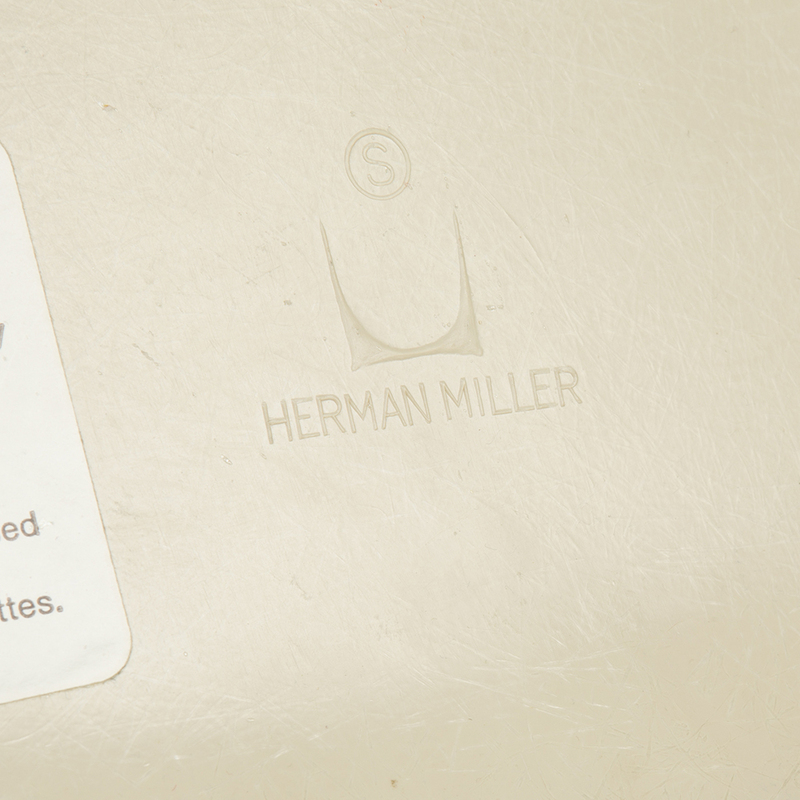 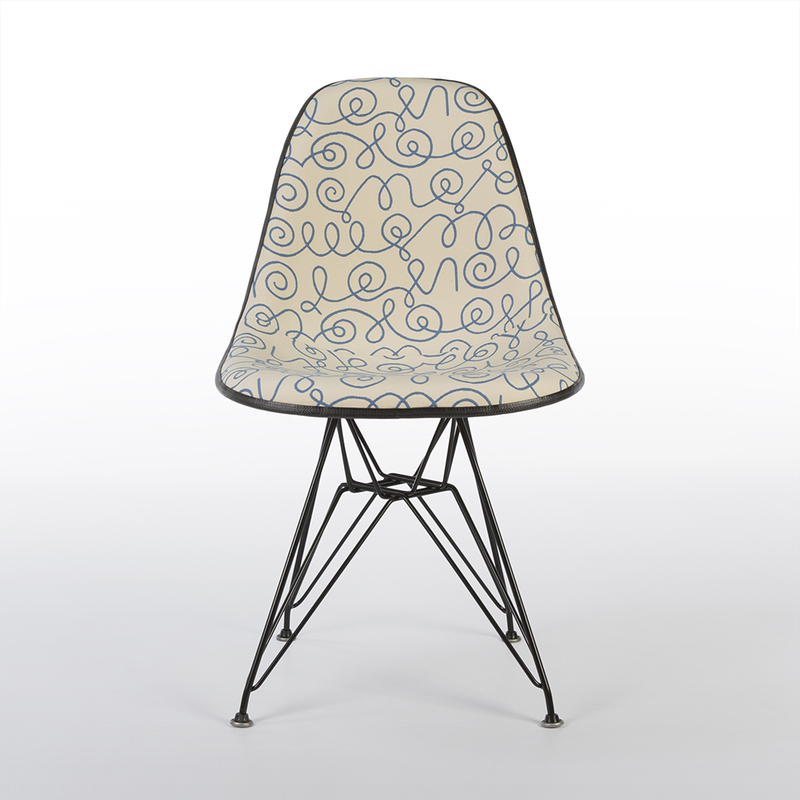 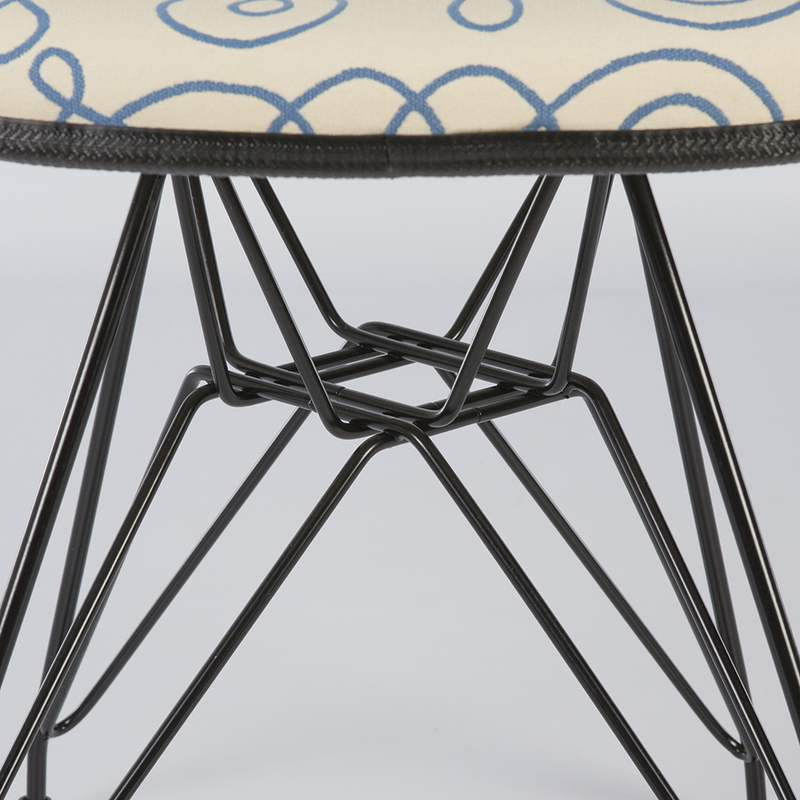 The fabric used to give it such a gorgeous finish is an original fabric that Girard produced for Herman Miller to adorn many various designs and this particular version was available with a variety of coloured pinstripes. 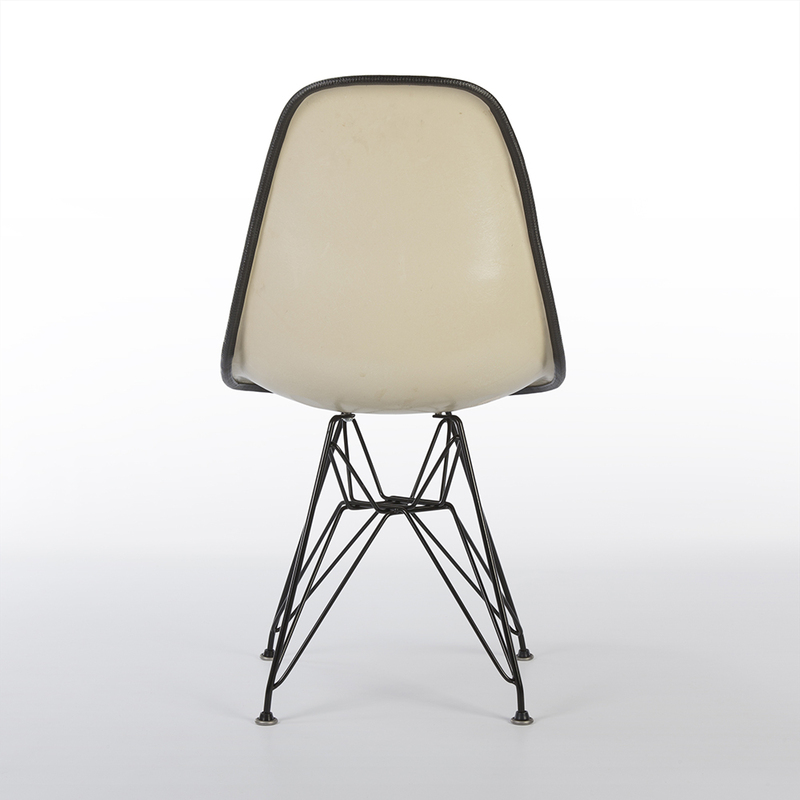 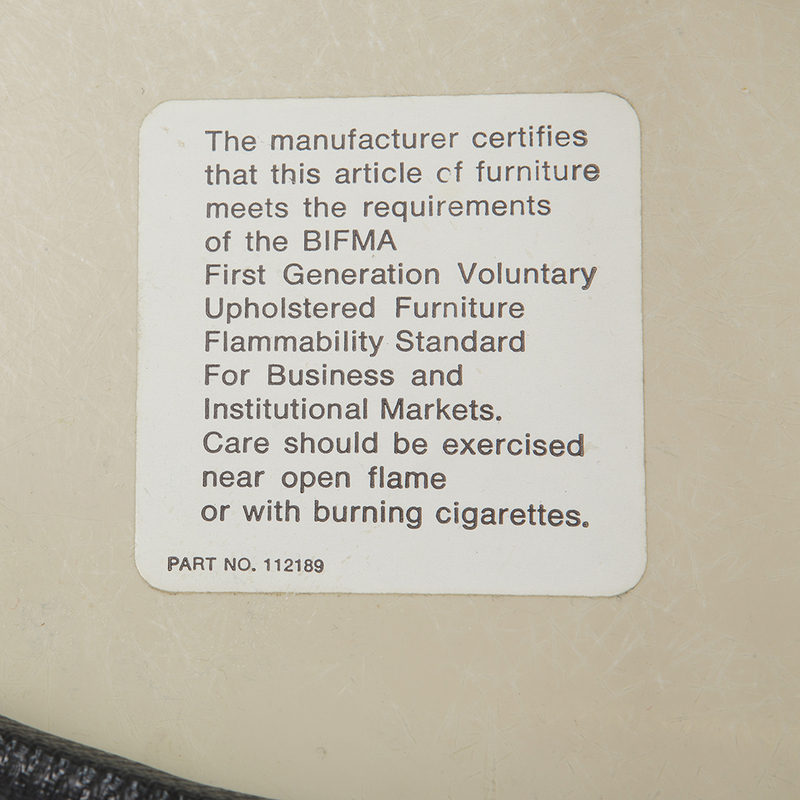 The fiber shell is in great vintage condition with no cracks, chips or defects.